Slides from my 5min Ignite presentation first delivered at the Codeworks Connect ‘Think and a Drink’ event at the Vermont Hotel, Newcastle upon Tyne on Thursday 29th September 2011. ‘Barriers’ stopping people from producing ‘Great Work’ and achieving their dreams in Newcastle. 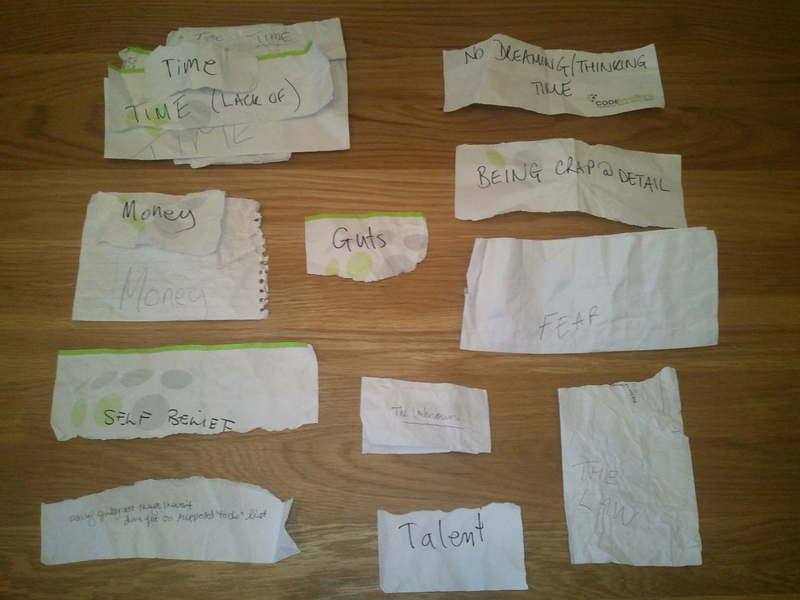 (I got people to write them down on a piece of paper, scrunch them up into a ball, and throw them at a target on stage during my ‘Ignite’ presentation at the Codeworks Connect ‘Think and a Drink’ on 29th September 2011. Contact me via @plandigitaluk, @lordlancaster, plandigital@live.co.uk or call +44(0)7734 722 716 if you’d like to know more or get me to deliver this presentation again for you.